The Binnenhof complex in The Hague is home to the Dutch Senate, House of Representatives, Council of State, and Ministry of General Affairs. The complex, a centuries-old monument that is still constantly ‘in service’, is owned by the Central Government Real Estate Agency. After a period of intensive use, the Binnenhof complex is now plagued by a wide variety of technical and structural defects. Large-scale renovation will be required to ensure the safety of visitors to the complex and an improvement in the working conditions of those who work there. Last, but not least, the renovation is crucial to the long-term maintenance of a significant part of our cultural heritage. The building at Bezuidenhoutseweg 67 in The Hague will be adapted to be suitable as temporary accommodation for the House of Representatives of the Netherlands from 2020 onwards. Between 2020 and 2025 a temporary building on the premises of the Catshuis in the Hague will provide safe, presentable and appropriate accommodation to the Ministry of General Affairs. The Central Government Real Estate Agency of the Netherlands (Rijksvastgoedbedrijf) is responsible for the realization of the unit based building, designed by State Architect Floris Alkemade. The works will start end of 2019 and will continue until the Ministry of General Affairs relocates in the summer of 2020. The Catshuis itself remains untouched. 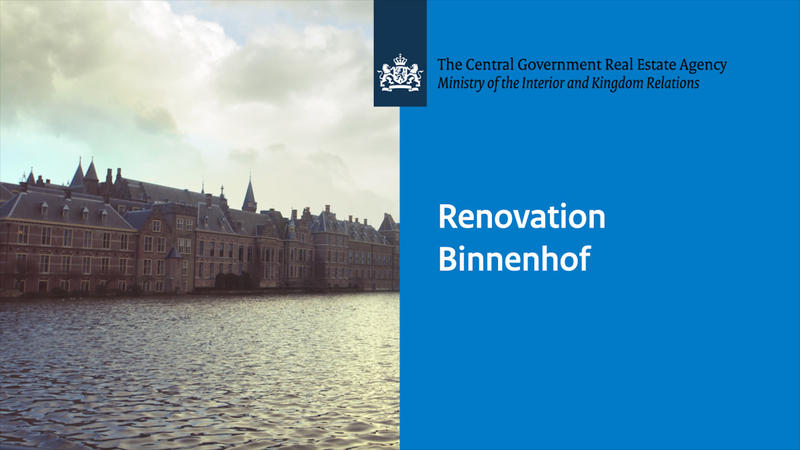 The site will be returned to its present state after 2025, when The Binnenhof renovation has been completed. The buildings Lange Voorhout 34-36/Kazernestraat in the Hague, also known as Huis Huguetan will be internally adapted for temporarily use by the Senate of the Dutch Parliament and the Council of State. The Central Government Real Estate Agency of the Netherlands (Rijksvastgoedbedrijf) is responsible for the realization. The works will start in spring 2019 and will continue until the relocation to the Lange Voorhout in the summer of 2020. The temporary housing provides safe, presentable and appropriate accommodation for the Senate and Council of State. 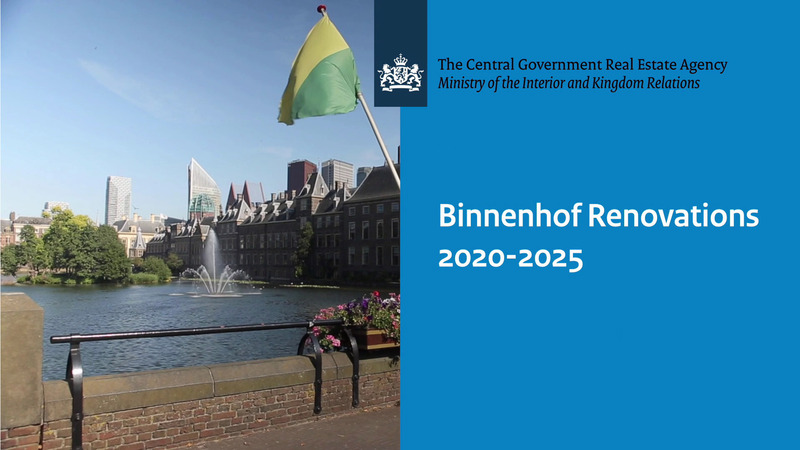 The Binnenhof will be renovated between 2020 and 2025. The Central Government Real Estate Agency ensures that the temporary accommodation is equipped with similar facilities as now present at the Binnenhof. In the buildings Lange Voorhout 34-36/Kazernestraat, a plenary hall for the Senate will be realized as well as a room for the Advisory Division meetings of the Council of State. There will be office spaces for about 75 employees. Account is taken of the reception of visitors such as students, day visitors and guests.